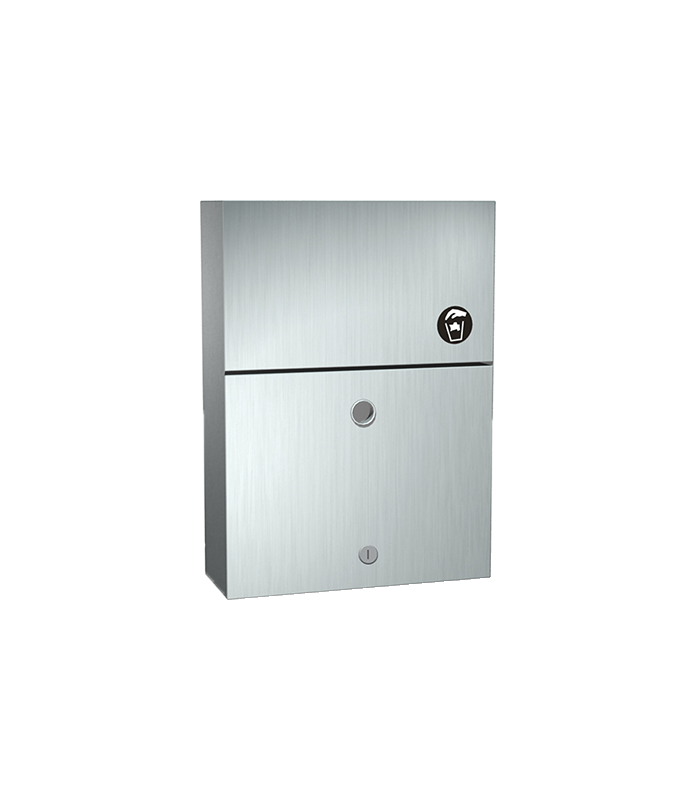 Self-closing door is mounted to cabinet with stainless steel spring hinge. Includes tumbler lock for servicing. Surface mounted unit for end stall installation. User pushes door to deposit waste material. Door is self-closing. Maintenance schedule determines waste removal cycle. Unit is emptied by removing bottom waste container and inverting over collection bag. Waste container is captured by internal angle to prevent inadvertent dumping and key lock to prevent unauthorized access or removal. Safety-edged finger grip provides convenient grip for service.